Power, performance, optimal efficiency; the objectives of almost any tuner, the key to achieving these objectives is in the data produced by your engine. To achieve these objectives you must know what your engine is asking for or it will never run its best.Captured Data logs are where a modern EFI controlled engine asks. But capturing data is only the first step; you then need simple ways to understand what that data means, what your engine is asking for. Being able to easily select, navigate and compare data fields is critical, but there is more. 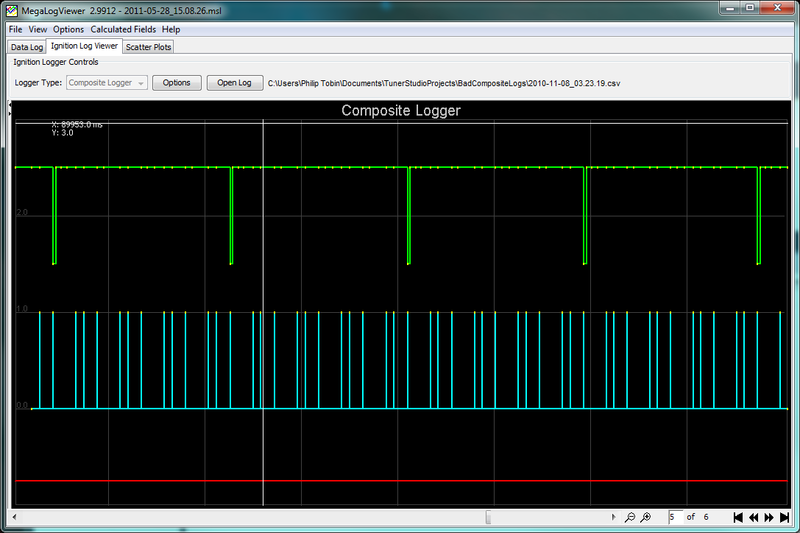 You want to see the whole story, not just at log traces 1 by 1 in a limited way. To get the full picture you need to see how different fields are related and affect one another, how it all ties together. You need the right tools to work with your data. Suddenly that data becomes so much easier to see and understand, you can sort through vast amounts of data in simple comprehensible views, then act on it. 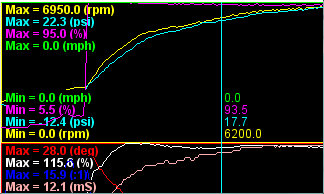 Whether you are a Professional Tuner or a Weekend Hobbyist, well designed software becomes your most valuable tool and can truly make data simple to work with. 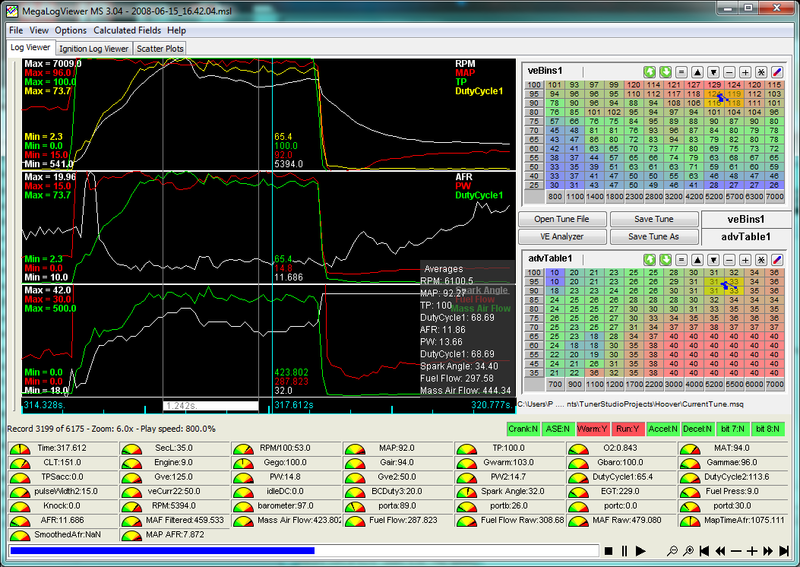 EFI Analytics MegaLogViewer provides tuners the power to view and analyze data in ways not available with other tuning software. If you have used any other software to view datalogs, once you try MegaLogViewer and see how much simpler it make navigating, and how much nicer it works, you will never go back. user and want to upgrade? us know and it will. 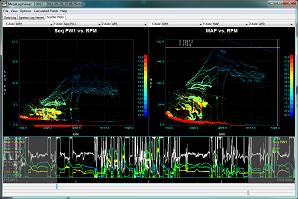 In 2005 MegaLogViewer was first introduced to support MegaSquirt EFI Controllers, the continuously expanding capabilities, functionality and ease of use has driven adoption by many others for tuning and non tuning use. MegaLogViewer’s Delimited File loader is so adaptable that it can load nearly any delimited or csv log file, along with several specialized loaders for more complex or binary files. 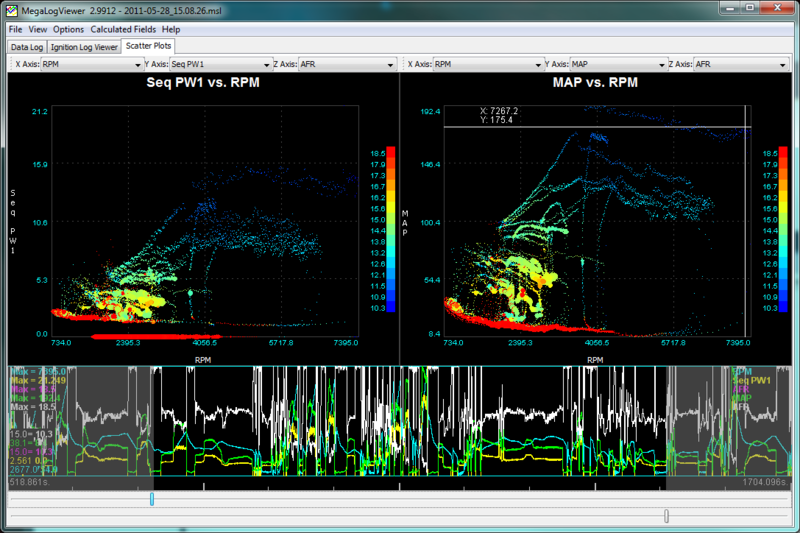 People are now using MegaLogViewer for MegaSquirt, Harley Davidson, Buell, Pro EFI, VEMS, BigStuff3 and countless other EFI controllers along with use in some colleges and Universities for data analysis. If you have any delimited file formats that do not load, let us know, support can generally be added quickly. For controllers that are fully supported such as MegaSquirt 1, 2 & 3 or BigStuff3 the power becomes even greater with Table Tuning and VE Analyze. The VE Analyze in MegaLogViewer is the original VE Analyze that set a new standard for VE Table auto tune correction in 2005. Since that time there have been many attempts to create auto-tune type functionality by many EFI controller manufacturers, but MegaLogViewer is still unmatched in log file accurate VE Table correction using logged data, just as TunerStudio has no live auto-tune competitors in the same class!! They are both built using the same analysis technology and algorithms. This power to analyze data has lead to MegaLogViewer being adopted by not only many car enthusiast groups, but by universities and laboratories for purposes not even related to the automotive industry! Adding to this power the latest version has the capability for adding new binary log file formats in a plugin style. So even if you are stuck with a tuning or non tuning application that MegaLogViewer does not support with native binary log files, contact us and we can likely make it happen! Scatter Plots rendered almost instantly with hundreds of thousands of records. User friendly interface that saves all settings and enables navigation by keyboard, buttons and mouse. New OS X pkg installer!